Female MMA fighters and martial artists always seemed to be few and far between. Or were they? Maybe these athletes didn’t have a platform to promote themselves on and maybe people were not willing to hear their voices…until now. My name is Kim Louise Taylor, I am a single Mother of Alexander and I am the owner of Femme Fighters www.femmefighters.co.uk a website and brand dedicated to women who train, compete and fight in martial arts of any style. I have been interested in martial arts since a young age. I used to love watching the old Jet Li documentaries and VHS videos (yes I am that old), plus the Bruce Lee awesomeness! Growing up I was never really a confident child, I was always nervous about joining clubs and making new friends at the risk of making myself look stupid. The hype when I was younger was Karate but if I am honest it never really appealed to me. Don’t get me wrong, Karate is a devastating and technical style if taught by the right person in the right kind of environment but these days its all about the money and every man and his dog setting up the McDojo! I took a different route and completely fell in love with Kung Fu – who wouldn’t! Because of my lack of confidence in my abilities growing up I didn’t start any martial arts classes until quite late on. I was in my early twenties when I discovered Wing Chun Kung Fu. I rang up and asked about the classes with Master Billy Davidson from the Ching Mo Centre in Manchester and I managed to rope a friend in to coming with me. Since that day I have always trained in a style of martial arts and had a passion for it. I trained in Wing Chun for about two and a half years. I absolutely loved it and made some amazing friends who I still keep in touch with now. I finally found some confidence in myself and my abilities and my peers believed in me. I also attended a training camp in Mallorca which was probably one of the best times in my life. We went away for about 4 days and just trained Wing Chun. We trained on top of the hotel in the sunshine and even on the beach, it was amazing. I was the only girl with a group of guys, but they were guys who I trusted and I knew had my back. To them it didn’t matter that I was a woman, I was accepted in the same way as everyone else and that gave me the confidence I needed. I moved out of my parents house and got my own place, life got in the way I guess and I stopped training. After a few years I soon lost my confidence and found it difficult to go back. I took some time out to sort my finances and personal life out and then decided I was ready to go back to training. For some reason though, I felt I needed to move forward from Wing Chun so I looked around and found a gym that taught Jeet Kune Do (JKD). This was a natural progression from Wing Chun as it incorporated a lot of Wing Chun elements like the trapping for example. 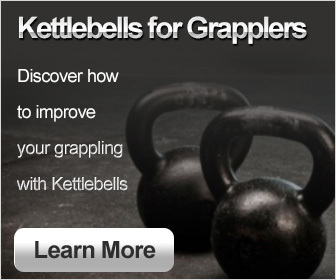 JKD just seemed more fluid to me and it felt less static and a little more effective. The stance was different, the training methods were different and it also incorporated some elements of Muay Thai and some Kali and Indonesian Silat. I had great tuition there at Impact Martial Arts from Sifu Mark Elliott, Sifu Dave Carnell and Sifu Simon McGovern. I learnt a lot about myself and my life and it strengthened the confidence I had in my abilities as a woman in martial arts. I trained JKD for about 2 years and moved on for personal reasons. Following my departure from Impact I decided to start training Muay Thai full time and I also discovered the art of Brazilian Jiu-Jitsu and went full time with Professor Steven Campbell at Stealth BJJ. I have to be honest and say this was quite difficult for me, walking in to a new club full of people I didn’t know and all of them being male! I was the only female at the club when I first joined and it was a little intimidating walking through those doors. It didn’t help that I walked in and got changed into my Gi and walked through a curtain into a big room full of guys, only to be told that the fundamentals class was no Gi – I felt a right muppet! Up until this point in my training I had always thought “ what is the point in learning any grappling?”, “when would I ever use this style for anything?” and then someone asked me what I would do if I got attacked one day and the struggle went to the floor. I had absolutely no idea whatsoever and this is the reason I started BJJ. As with Wing Chun, BJJ helps the weaker person overcome a stronger opponent using good technique and leverage. 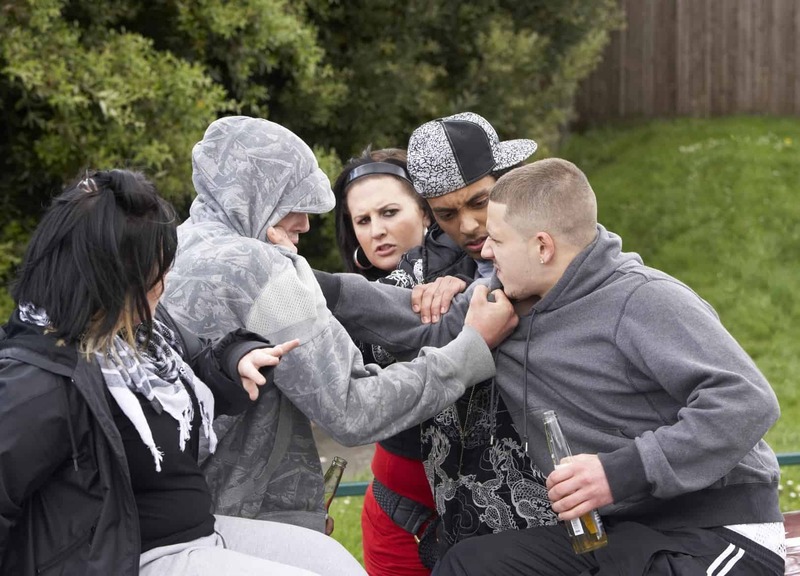 It would specifically help a woman being attacked by a man and therefore I feel it is a must for all women to know how to defend themselves on the ground as well as standing. Round about this time I realised that there was so much going on in the martial arts scene and the guys really did get represented well but you never really heard much about the achievements and accomplishments of the women. It was then that I decided to set up my own website called Femme Fighters. The aim and intention of this website was to acknowledge what our female martial artists were achieving, how and where they were training, were they competing, were they winning? I hadn’t seen a website like this before in the UK so that’s what I decided to do and in 2010 Femme Fighters was born. I started going out to competitions and fight nights and networking with lots of different women across the UK, finding out about their training and what their achievements have been. It was so interesting to see the women competing at the same level as the guys yet not really getting much recognition for it. The women’s category at the Brazilian Jiu-Jitsu (BJJ) competitions was just fantastic. Watching these athletes competing was outstanding. You will notice I referred to them as athletes, well that’s because most of them are. To some women, this isn’t just a hobby this is a way of life for them and they make every element of their life about their training. They make sure they eat well, exercise and train well, they supplement their training by undertaking strength and conditioning sessions and some of the girls lift heavier than the guys – these ladies are inspiring. They are the reason I set up my website, to give them a platform to be recognised and acknowledged. During my BJJ training I decided that I was going to focus on setting up a few women’s only events and after putting some feelers out, I realised that this was something that women were really interested in. I organised a ladies only BJJ session (no Gi) for charity and all money raised went to Cancer Research. 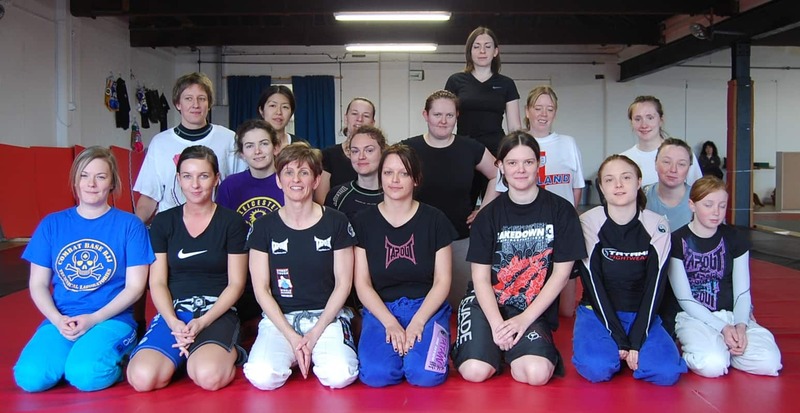 I was lucky enough to secure the only female BJJ black belt in the UK at the time, Helen Currie from Combat Base, to come and run the session for me. Tatami Fightwear contributed to the session by providing me with Femme Fighter logo patches that I could give out to all the ladies in a goody bag that they all received at the end. The session was really successful and ladies travelled over to take part and even some women who had never trained BJJ in their life before came over to give it a go. We ended up raising over £600 for Cancer Research and they featured us in their Summer newsletter to highlight our achievement. This made me realise how important this job was that I was doing. Women need this platform to be recognised and I could provide it to them with Femme Fighters. I went on to write articles for the website about different clubs and the women who trained there. I highlighted success stories of competition success and fight wins in Muay Thai and MMA. I ran profiles on ladies classes that were being held across the UK and the word soon spread. After training BJJ for about 6 months, I fell pregnant with my beautiful son Alexander. I was told I was unable to train through my pregnancy due to medical reasons. This was so frustrating for me. I had gone from training 6 days a week in stand up and BJJ to absolutely nothing – zilch – zero! I found it hard watching everyone else training and having fun learning new stuff and if I am honest it took me a few months to accept the fact that I was going to be out of action for quite some time. I know of a lot of women who carried on training throughout their pregnancy and managed to make it quite far along before they had to stop. I then decided to focus my attention more on Femme Fighters and start building my empire! I went to as many BJJ comps as I could get to, supporting the Stealth guys as often as possible and also some MMA shows. I made networking a priority and I have had the pleasure to meet some amazing people along the way. After having Alexander, I remained out of action for 6 months as he came into this world by an emergency caesarian section, following some complications. This means that after having what is classed as major abdominal surgery, I had to wait longer to get back to exercising and more importantly training. I focused on my website and Facebook page and more importantly being a Mother. Something I had always been interested in was Mixed Martial Arts (MMA) and it seemed there was a lack of women fighting. I was very lucky to know one of, if not THE best UK’s female MMA fighter, Rosi “The Surgeon” Sexton. With a pro record of 13-2 Rosi really knows hers stuff and has been on the scene for a while. Rosi was interested in the same goals as me in giving the female MMA fighters some recognition for what they were doing. She expressed an interest in setting up a women’s only MMA seminar and asked if I would help her organise it and set it up. This was right up my street so of course I obliged, who wouldn’t want to work with Rosi. We set up an MMA camp at the UTC in Cannock. The camp ran over 3 days and covered everything you could think of including grappling, take downs, ground and pound, work against the cage wall, diet and nutrition and we even had guest instructor Peter Irving and Team GB Judo competitor Sophie Cox. The sessions went down really well and the ladies absolutely loved it. It was clear that this is the kind of thing the women were looking for and the interest we had from ladies that couldn’t attend was amazing. During the final day of the women’s MMA camp with Rosi, everyone sat down together and discussed any issues or ideas they had relating to their training. Some of the issues of being a woman training in MMA became apparent. It seemed that some of the coaches at the gyms where the women trained didn’t understand what the ladies actually wanted to gain from their training. Maybe some of the guys were not taking the fact that they wanted to do MMA seriously enough. This is where some of the other girls spoke up and said how important it was that they speak up and tell their coaches and training partners exactly what they wanted. At the end of the day, they are paying for their tuition and it is in their best interests to get out of their training exactly what they need and want. One of the biggest problems I could see was actually matching fighters. The amount of times I have had emails and messages from people setting up fight cards for events and trying to match the only female on the card was epic. Even if a match was made, it seemed normal for one of them to drop out before the fight and finding a replacement is such a chore. The pool of female MMA fighters isn’t massive as it is so to try and find another woman at a certain weight with a certain record was a nightmare. In the words of Rosi Sexton “it’s like trying to breed Pandas!”. Another issue I came across was that because the pool of female fighters is so small, most girls know each other and therefore are not willing to fight each other! This means they are just putting even more limitations on themselves and their fight careers. This is just my personal opinion but as long as it is not a team mate then I don’t see why you cant go your separate ways for a month or so and do your fight camp, train really hard, get the job done in the cage, shake hands afterwards and still walk away friends?. At the end of the day, we have all had to compete against a friend in one way or another, whether its in school, work or training so why not do it in the cage? Where am I at now personally? Well, I have gone back to work but I work Monday to Friday until 2pm and then I come home to be with my Son. I try and fit in as much training as I can but being a single Mum, I have to rely on others to look after Alexander for me so I can go. My Mum is my rock and without her I wouldn’t have coped and she has him when I go training. I try and get to BJJ twice a week and MMA once a week. Being a Mother is one of the hardest but most rewarding jobs in the world. Its all about balance and good time management but there is always a way to fit training in. So if you are a new Mother too then don’t be disheartened, life goes on and so does your training you just have to make the time to do it. Women need to stand up for themselves more and if you want something, then you have to go out there and get it. There are plenty of amazing gyms and coaches just waiting for you to walk through their doors. The biggest step is having the confidence to do it. With the decision to now have a women’s division in the UFC kicking off with Ronda Rousey and Liz Carmouche, I think this has really made a statement about the future of women’s MMA and female fighters. We can compete, we can fight, we train hard, we fight hard and the skill set of some of the women is second to none. This is history in the making and for the UFC to give female fighters this platform is phenomenal. This is putting women’s MMA out there with a statement that we need to be taken seriously and this can only be a good thing. This will open up many opportunities for girls and women wanting to train and aspire to be the best. There is so much support out there these days for women who want to train, regardless of style. Most gym’s have a ladies only session run by a female instructor. Gym’s are becoming more female friendly and it is much more acceptable for women to be in a male dominated training environment. Also my website www.femmefighters.co.uk is constantly growing and is the perfect platform to showcase the abilities of our female warriors. I like to help promote women by writing an article on them, interviewing them about fight wins or achievements and getting it on the website. I am looking to run some female only seminars this year as well and I can honestly say networking with other women is the best thing you can do to meet like minded women and get great training advice and ideas. If you have a story for me or need pointing in the right direction for anything then please contact me at the website or Femme Fighters Facebook page. The only way is up for women in martial arts and specifically MMA. The talent pool is increasing all the time and there are some amazing fighters out there just waiting for their opportunity. editors note- a great article. I approached Kim to write an article for this site in the same weekend as the first UFC women’s fight because Kim Taylor has shown a great deal of knowledge and experience in getting womens MMA and martial arts to a wider audience. She is an expert in Womens martial arts and MMA and I urge people to contact her and her site for more information on this amazing sport. Great article and for the record I think womens MMA is a great sport!